Let me introduce myself I am Erika and I am an independent canine consultant, I set up Happy Hound Holidays 10 years ago and now my parents, Penny and Ian assist me with the day to day running of the business. We are very much a family run business and do not employ anyone else, so your dog will have the consistency and continual company living with Ivy, Maisie, Betsy, Hilda and I, in our home. 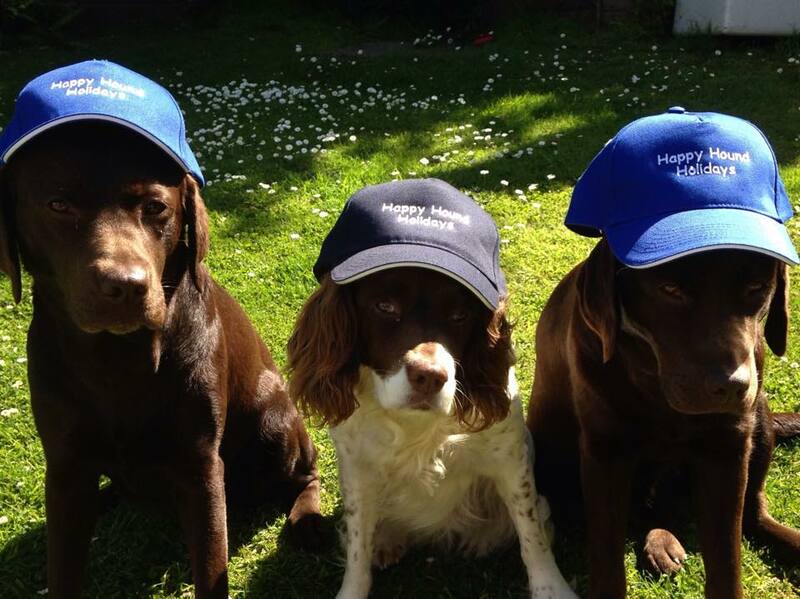 We offer a personalised service for your dog and attempt to fit in with your dogs normal routine where possible. We offer a true home from home for your dog. We offer dog walking, dog boarding in my home and doggy day care. We have a comprehensive Happy Hound Holidays Facebook and Instagram page, just click on the Facebook icon below, to see lots of photos of the dogs enjoying their Happy Hound Holiday! Jennifer Grace "Excellent day care & dog boarding! My dog has been going to Happy Hounds for 7 years now, absolutely loves it! Chose Happy Hounds as I don't like the idea of kennels, there he can run around outside on the warm days and be tucked up cosy on the cold, wet ones! He is very well looked after and I wouldn't trust anyone else! 5stars!!!"